In response to demand for an alternative voice comms solution to TeamSpeak 2, we at Multiplay are now offering Ventrilo servers for a small additional fee. But then if you are reading this guide, you probably already knew that! 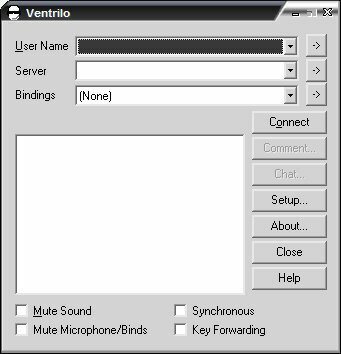 Visit www.ventrilo.com and follow the download link on the left of the page. 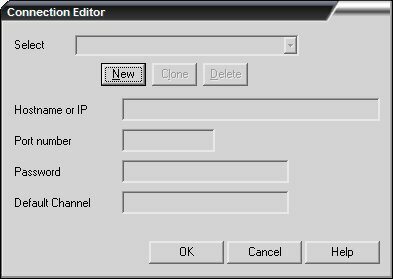 Assuming you are running a version of Microsoft Windows, you will want the Windows i386 � 32bit link. 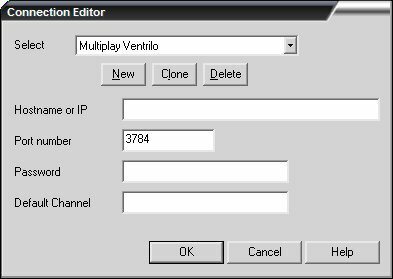 Ventrilo is free provided it is used for private, non profit use. When the software has downloaded, run the executable and follow the installation instructions. Once it is installed it might be useful to place a shortcut on the desktop (if it hasn�t already) or even on the �Quick Launch� bar. This is entirely up to you. When you start the Ventrilo client, the following window (left) will appear. This small popup window appears. 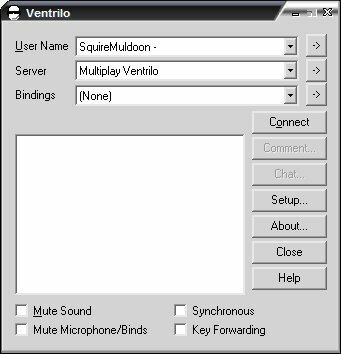 Just type in your nickname as you want it to appear in Ventrilo. That�s us done with the Setup User box. Click OK. If the server requires a password, type that into the Password field now. For future reference, if you wish to join a certain channel in the server straight away, you can type in the channel name here. However, we wont be doing that right now. For now, just click on OK. Thank you for reading this guide. I hope you have found it useful. 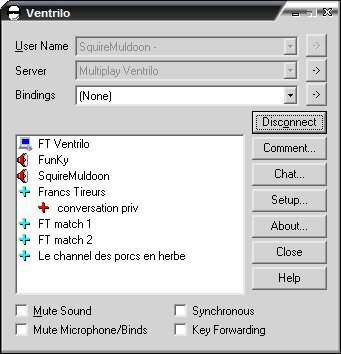 As I said before, it isn�t a complete guide to Ventrilo, so if you have any questions, come grab an admin in #mpukhosting on Quakenet IRC, and we will do our best to sort you out.